Your lawn needs to breathe! 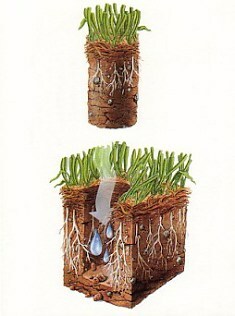 Aeration is a vital service for a healthy lawn. In most home lawns, fertile topsoil may have been removed or buried during excavation of the basements or footings forcing grass to grow in subsoil that is more compact, higher in clay content, and less likely to sustain a healthy lawn. Walking, playing, and mowing will compact soil and stress lawns. Rain and irrigation further compact the soil, reducing large air spaces where roots readily grow. Compaction is greater on heavy clay soils than on sandy soils and is greatest in the upper 1″ to 1-1/2″ of soil.